Come enjoy the sounds of crystal bowls, rain sticks, bells, and more! 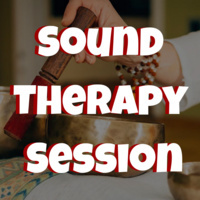 Sound therapy is meant to help you relax, and refocus your state of mind. Sound Therapy will begin at 3pm and end by 4pm.